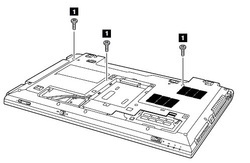 First of all, turn off your laptop Lenovo B570 / V570 / V570C, disconnect the the AC adapter and remove the battery. 1. Turn over your laptop and loose the five screws securing the memory / HDD bay compartment cover, but don't remove the screws. 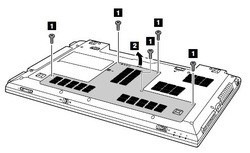 Remove the memory / HDD bay compartment cover. 2. Remove these three screws. 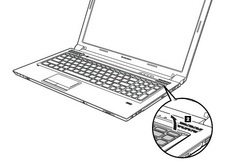 3 Loosen the keyboard with fingers in the direction shown by the arrow 2 . 4. 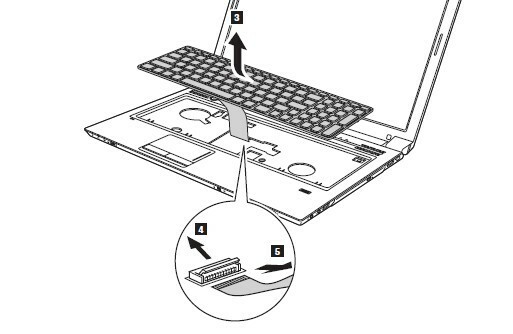 Lift the keyboard a little 3 , and then detach the connector in the direction shown by the arrows 4 and 5. 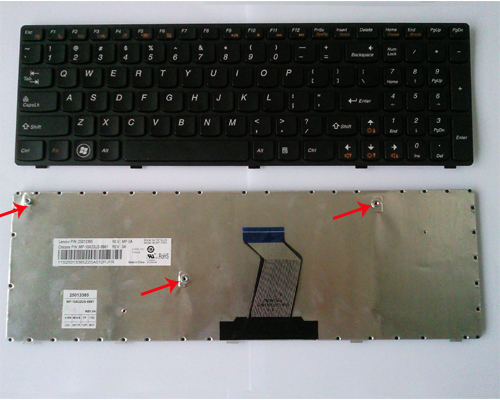 Now, you can remove the keyboard. Reverse the procedure to install your new Lenovo B570 / V570 / V570C keyboard.